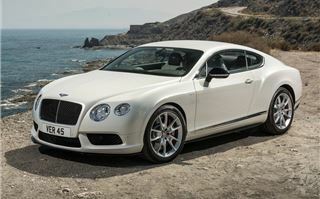 Most of us may have had to tighten our belts in recent years but you’d never know it at Bentley. Despite telephone number price tags, Bentley has had another record year in 2013. The Continental GT has always exuded style and now, thanks to that additional S moniker, Bentley’s hugely popular grand tourer promises a more sporting performance. 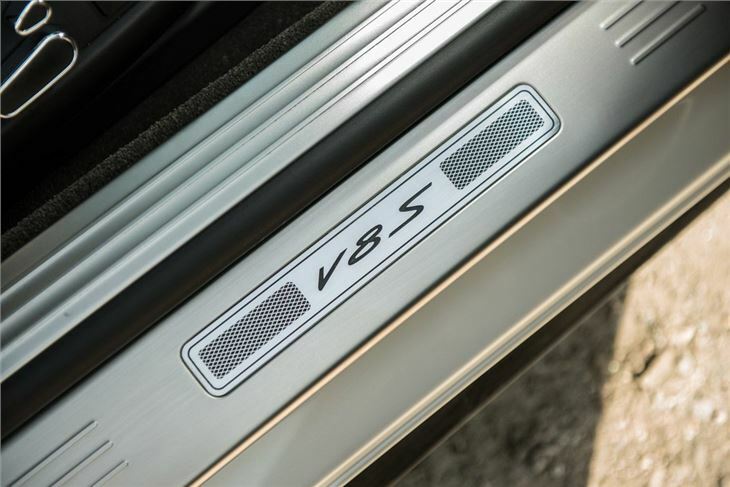 The V8 S has undergone a number of what, at first sight, might appear minor tweaks to create a quicker, more powerful version of the V8 model. Exterior changes are as subtle as we’ve come to expect from Bentley. 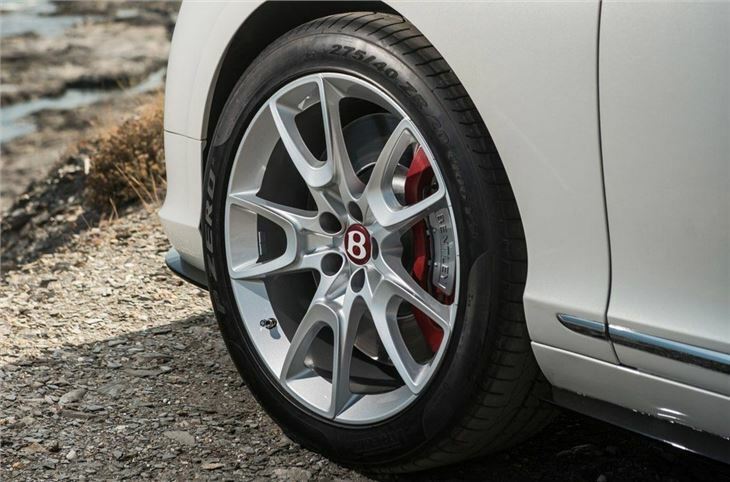 Created specifically for the S model, the open-spoke 20-inch wheels are its most obvious embellishment. The keener-eyed will also notice that that V8 S gets a unique front splitter, side sills and rear diffuser in Beluga piano black plus shiny figure of eight exhaust pipes. There is also the option of Beluga wing mirrors and a sports exhaust which, based on our test drive experience, is an absolute must-have to enhance the glorious sound of that V8 engine further. 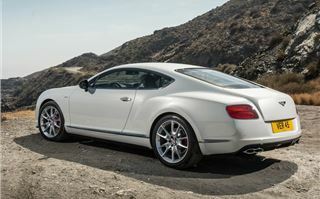 The Bentley Wings badging on the wheels, bonnet and boot lid incorporates the same red emblem of the V8. 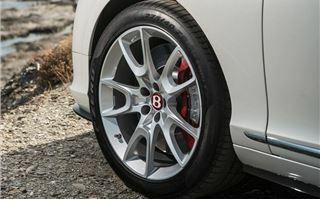 Only the additional S badge on the flanks and its huge red brake callipers reveal its true identity. It’s a shame that that same red badge doesn’t carry through to the centre of the steering wheel while the badge lettering on the side and and door sills lacks the sophistication of the rest of the car. But these are small ripples in an otherwise unbroken chain of flawlessly executed design decisions. 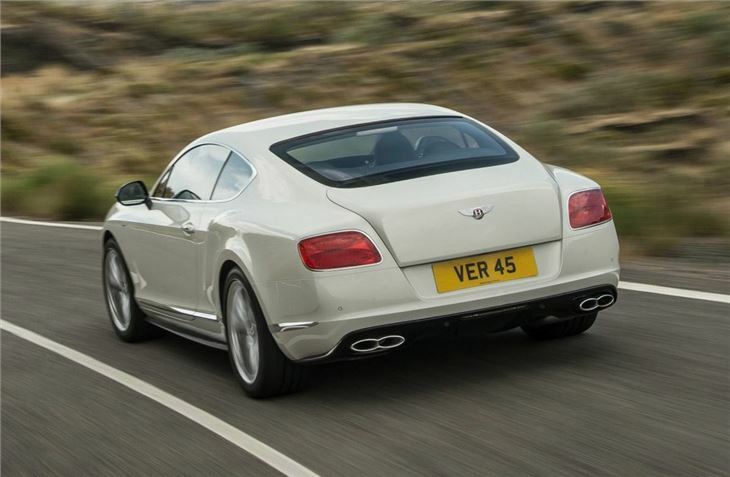 The overwhelming impression is of a large and very powerful coupe which still, somehow, feels rather understated even in this, its most dynamic iteration. It’s alchemic that it can look so elegant. 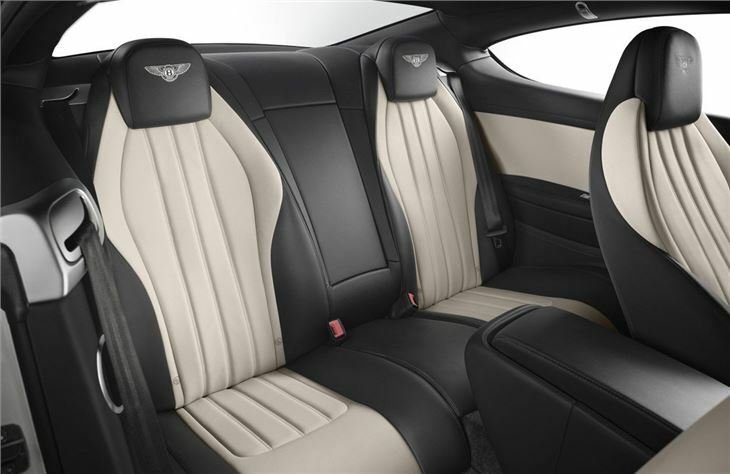 Inside the cabin, the handcrafted interior is as luxurious as any production car gets. 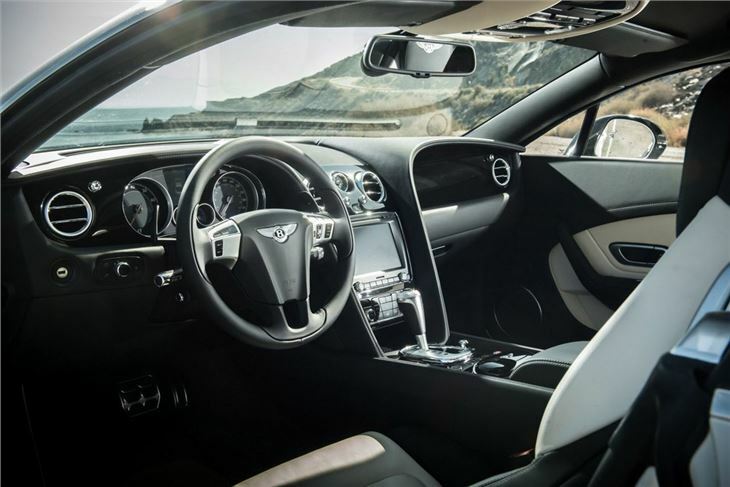 The tightrope this V8 S model walks so well is that it successfully blends traditional Bentley design elements with modern materials including lacquered piano black trim, chrome and aluminium, soft leather, plus deep luxurious carpet. Out test car was in Mulliner Driving specification so it featured drilled alloy pedals and diamond-quilted trim and contrast stitching which, despite being ubiquitous these days to communicate a sports model, was executed with finesse. Clearly the most significant changes to the car are hidden from view. 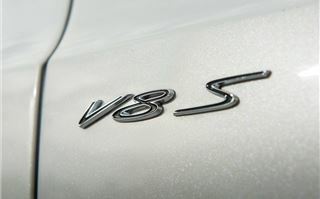 Though the car uses the same 4.0-litre twin-turbo V8 engine as the V8-badged model, power has been boosted to 528PS – up from 507PS – meaning there is 20Nm more torque available. The V8 S also has a 10mm lower ride height along with an uprated chassis, increased spring rates and revised damping. The steering is sharper and more responsive while a stiffer rear anti-roll bar improves body control and turn-in. These might be welcome changes but this is no flyweight motor. Can an additional 21PS and 20Nm of torque really make such a difference to a car that weighs more than two tonnes? In fact the difference is indisputable. The standard 0-62mph sprint now takes 4.5 seconds, a reduction of three-tenths of a second on its V8 sibling. 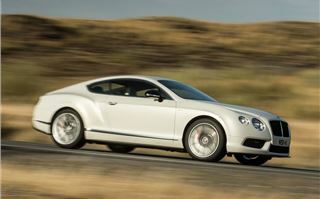 Top speed too is increased from 188mph to 192mph. All of these may seem like a good deal of fuss for what’s seems like incremental improvements but it all adds up to a Continental that is noticeably more agile, more energetic and more exciting than the V8 model, resulting in a more enjoyable drive. This is particularly apparent when the car is switched into the Sport setting. Throttle response is enhanced and the eight-speed ZF automatic gearbox shifts more quickly yet hangs on to the gears – and the splendid exhaust noise – for that little bit longer. As you can also shift in blocks you can shift multiple gears. This is particularly useful if you are moving quickly though twisting roads. 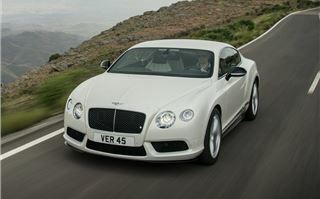 All the while there is very little wind or road noise as you would expect from a Bentley. The car’s ability to pacify the illustrious engine note when cruising, yet unleash an almighty roar when asked, is magical and wholly provocative. It may still be a grand tourer at heart but in V8 S form, the Continental now offers noticeably more thrills than before, without losing the GT refinement and comfort it has become known for. Progress is effortless and the car is surprisingly able to move quickly through the bends, despite its significant weight. 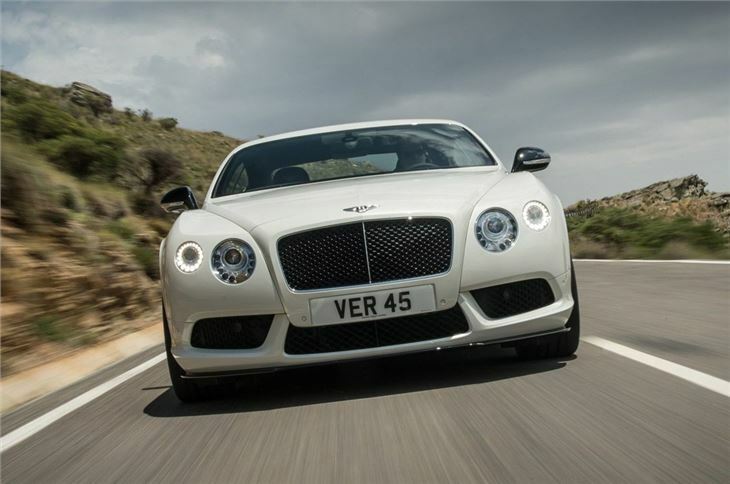 The steering is precise and this GT feels more agile and more responsive than ever. 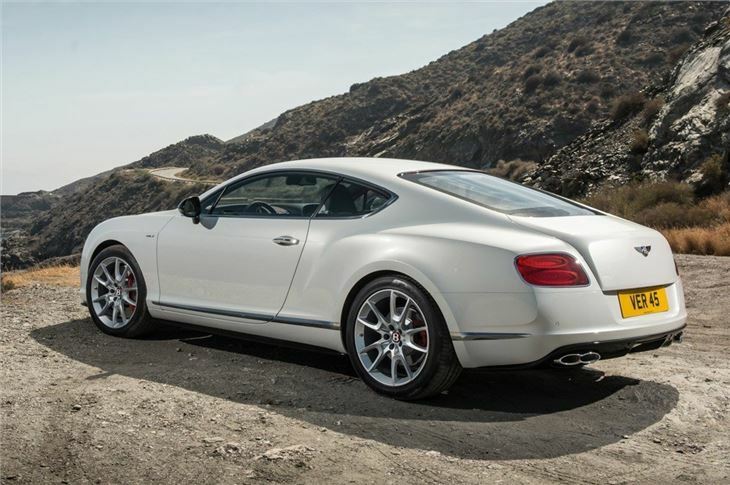 It is a true performance car with an uncanny ability to disguise its significant weight. It feels incredibly surefooted too. 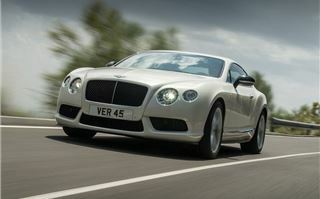 There are few cars that can reach three-figure speeds which such ease and refinement. Fuel economy and emissions have essentially stayed the same - 26.8mpg on the official combined cycle (versus 26.7mpg for the V8 model) and identical CO2 emissions of 246g/km. No doubt helped in no small way by the engine’s ability to shut down four of its eight cylinders to reduce fuel consumption when motorway cruising. 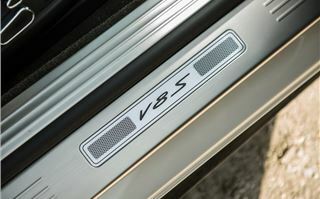 Price-wise there is a £15,000 step up on the basic list price for the standard V8 model which costs almost £124,000. Clearly £139,000 is a significant sum of money, and that’s before you start working your way through the lengthy list of personalisation options. Yet few Bentley buyers will balk at this because the step up from the V8 model is significant enough to suggest that even in a market as expensive as this one, upgrading to the V8 S is a bit of a bargain.